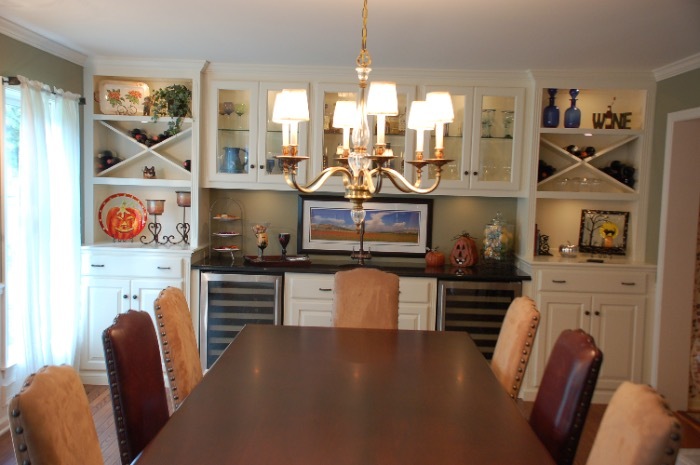 Embellish your Pennsylvania home with complete wall cabinetry. These custom built cabinets spread over the entire width of your wall. When you work with T. L. King Cabinetmakers, you'll enjoy a wonderful opportunity to enhance your residence with the addition of finely crafted built-in woodworking! Ask us to install trendy customized full wall cabinetry in your home. These elegant wall units transform the appearance of family rooms, bedrooms, dining rooms, kitchens and more. 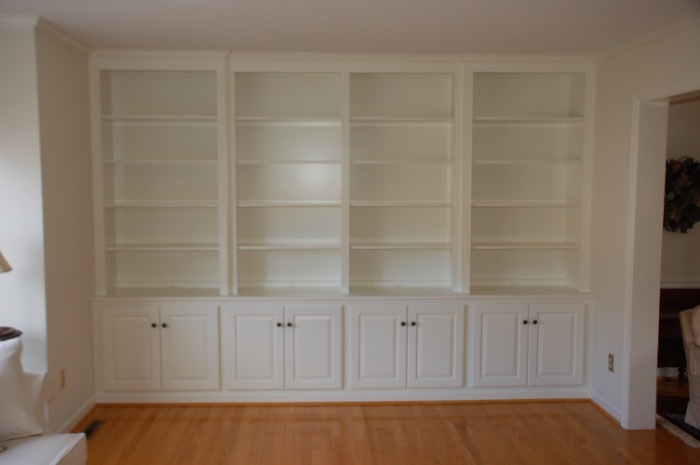 Whether you own real estate in the bustling western Philadelphia suburbs or along a quiet rural Chester County road, you can request cabinets tailored to fit the needs of your household. Our service area encompasses Rose Valley, Brookhaven, Upland, Chelsea, Chadds Ford, Newtown Square, the Main Line, Villanova, Paoli and numerous other local communities. Many homeowners choose to commission new cabinets, shelving and cupboards to refurbish older properties in a distinctive, highly functional way. Attractive built ins for living room decors, pantries and home offices sometimes add significantly to real estate values upon re-sale. If you're interested in a complete wall unit or window wall units, view the gallery below or contact T.L. King Cabinetmakers today! This region of Pennsylvania enjoys a highly acclaimed woodworking tradition. T. L. King Cabinetmakers, a respected local firm, has gained a reputation for exceptional workmanship and attention to detail. The installation of one or more full wall cabinets can make a profound difference in the way a residence "shows" for entertaining purposes. Yet this process also helps customize a property to meet the needs of residents more effectively. 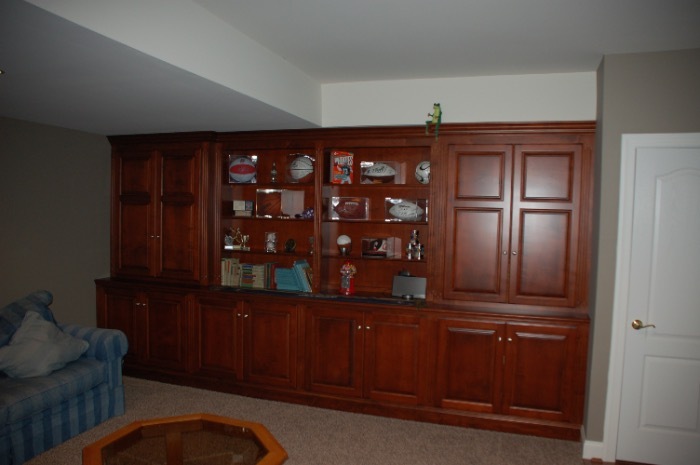 If you've desired more storage space in your home, why not order a built in wall unit and entertainment center? Upgrade and modernize daily living areas without the expense involved in undertaking a complete home renovation or rebuilding project. The installation of full wall cabinetry provides a charming showcase to display prized personal possessions and works of art. 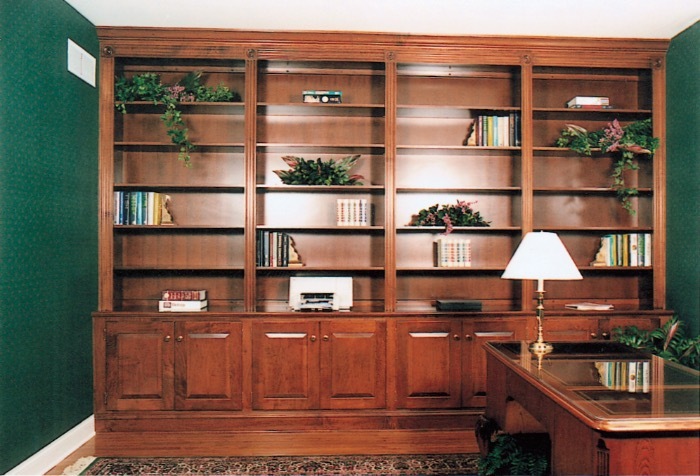 The craftsmen at T. L. King Cabinetmakers use the types of styles, woods, stains and finishes you prefer to individualize your new wall cabinets. 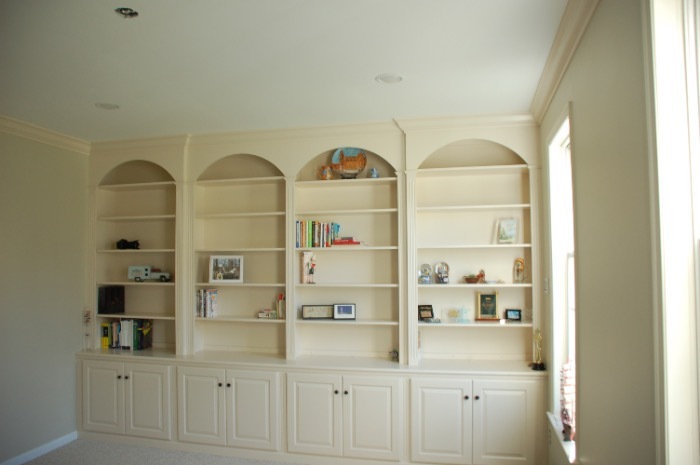 Some customers begin by requesting built in wall units for living rooms and then ask us to return a few weeks or months later to add additional full wall cabinetry to improve other parts of the residence. For example, you can obtain built in wall units for bedrooms one room at a time. Consider upgrading your residential cabinetry to accommodate the changing needs of a growing household. 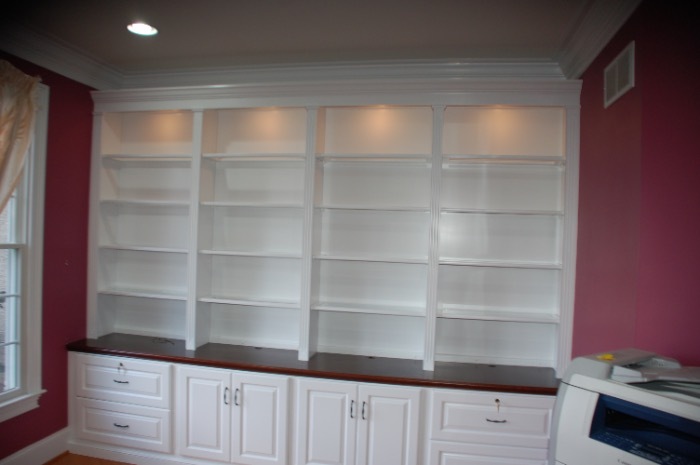 As custom cabinet makers, our expert woodworkers install a dazzling variety of different types of storage and display surfaces. Spend a few moments looking at our project photos to appreciate the variety and beauty of these full wall units. We'll tailor our work to meet your specifications. Our elegant full wall cabinetry infuses convenience and luxury into daily living spaces. 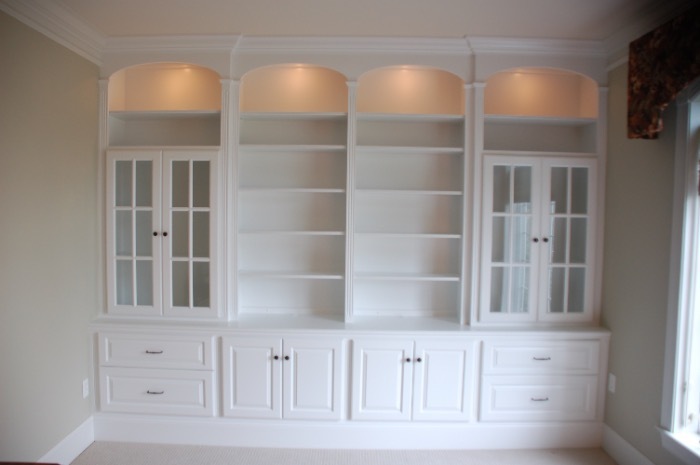 The installation of one (or more) of these customized units makes a striking difference in the appearance of a room. You won't regret your decision to explore available options for adding beautiful complete wall cabinetry to your premises. Simply call 610-213-5496 now!